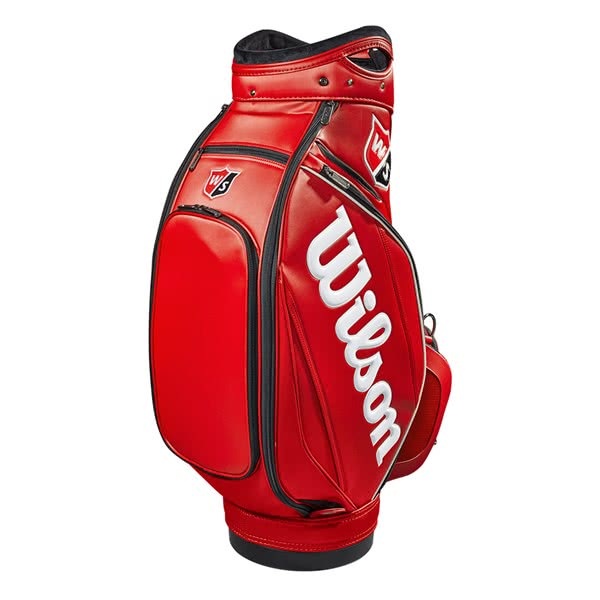 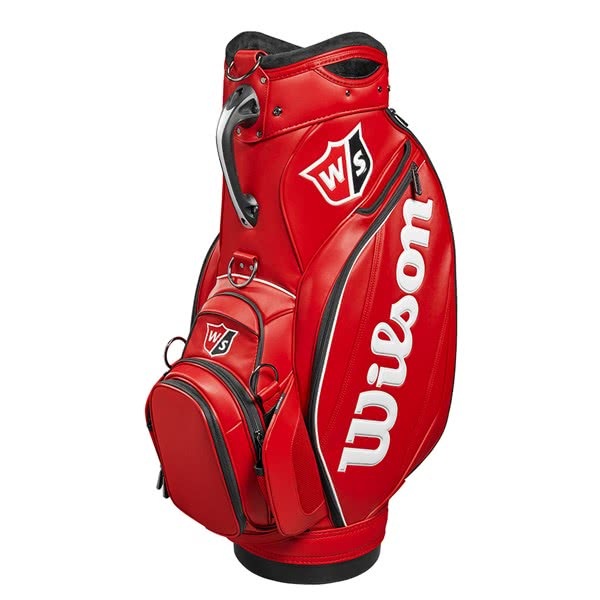 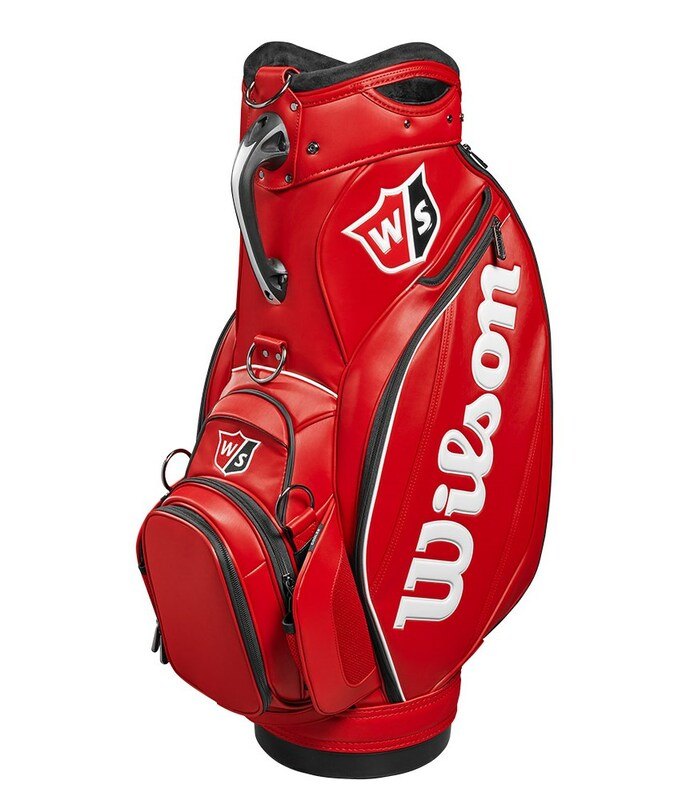 Wilson Staff have designed their Pro Tour Staff Bag to provide their tour staff with maximum functional storage space. 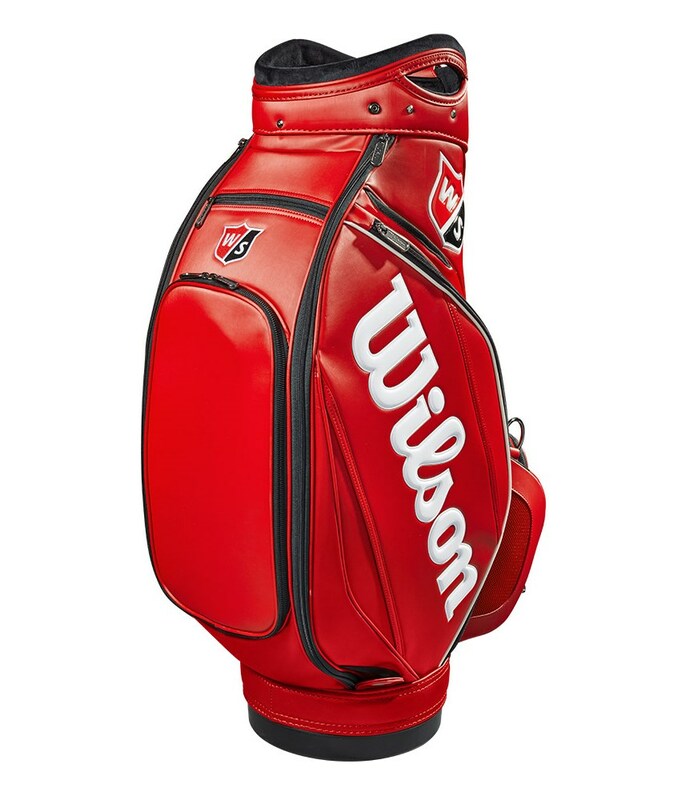 To provide ample room for your clubs Wilson Staff have used a 10” x 9” top that features a 6-way divider system. 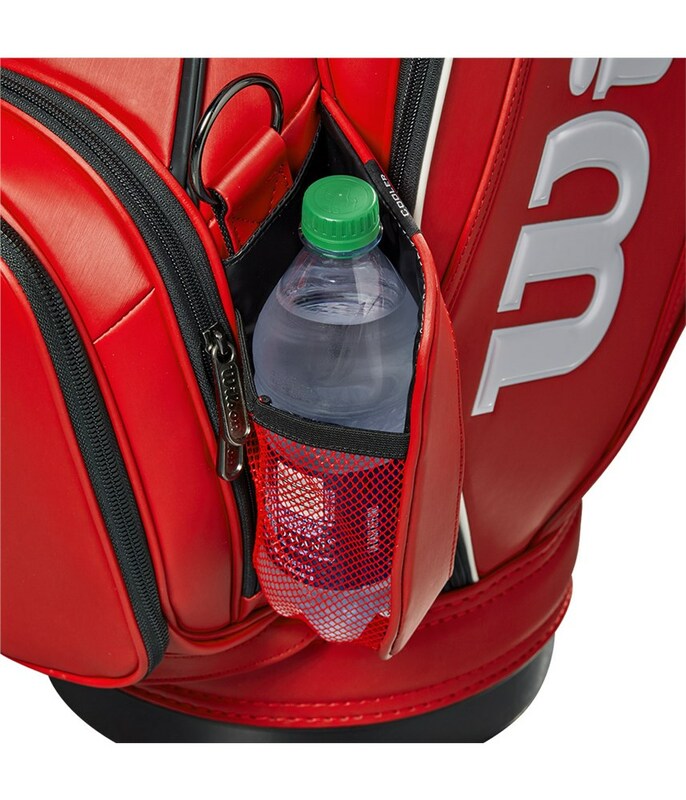 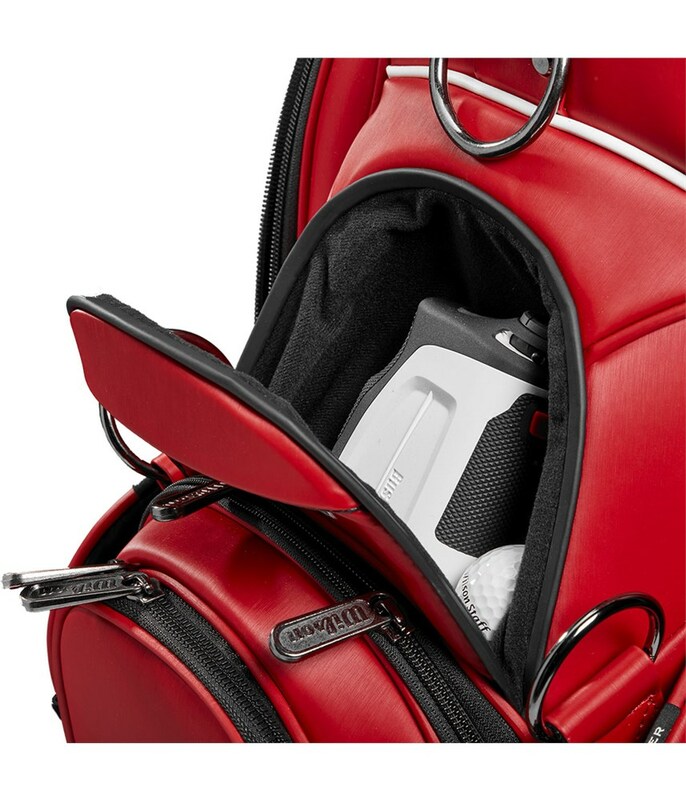 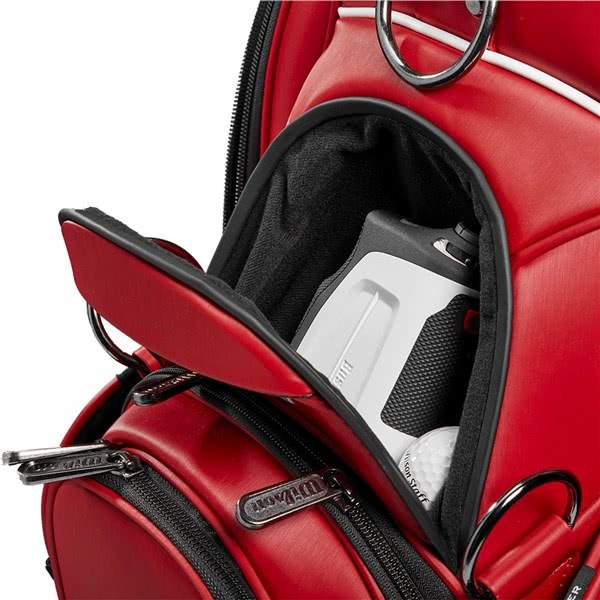 The lined divider top will provide the necessary levels of organisation and protection to all your golf clubs. 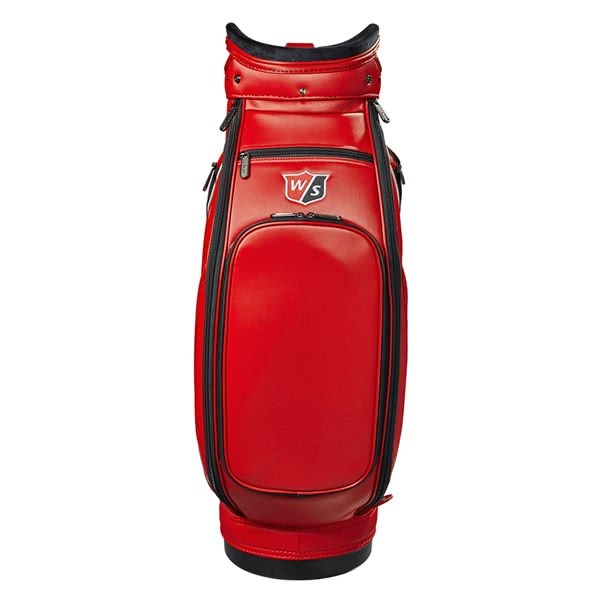 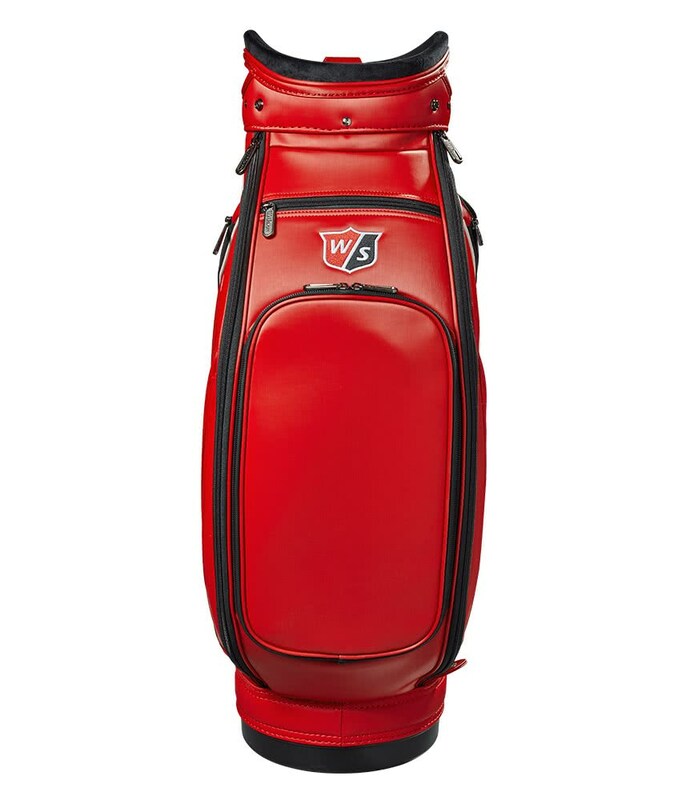 The stunning red Wilson Staff colours have been used for the body of the golf bag. 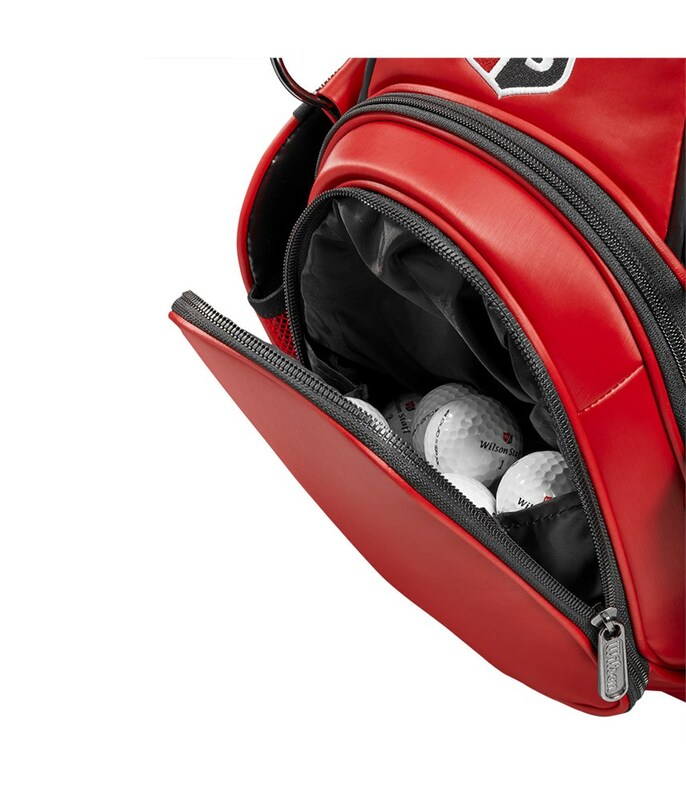 A total of 7 pockets have been used and positioned strategically so that every pocket is accessible while being carried or placed on a trolley. 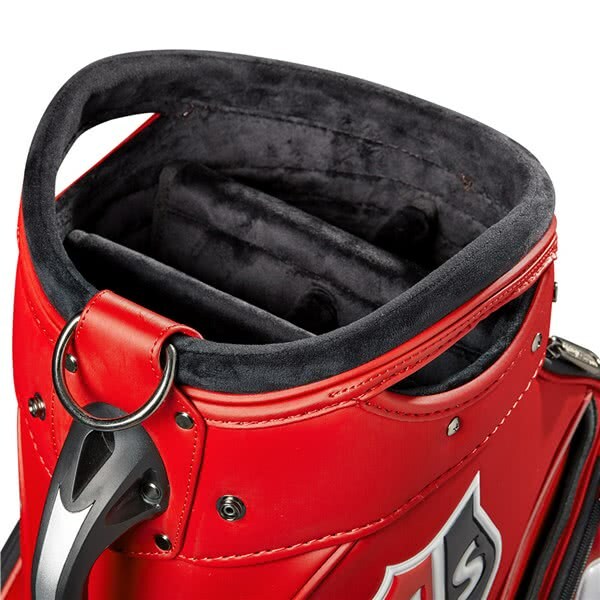 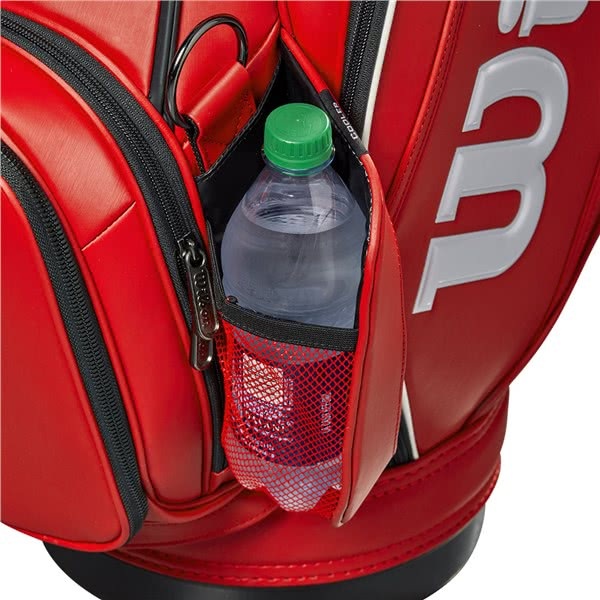 Two insulated beverage sleeves have been incorporated into the design so that you can stay hydrated during your round of golf. 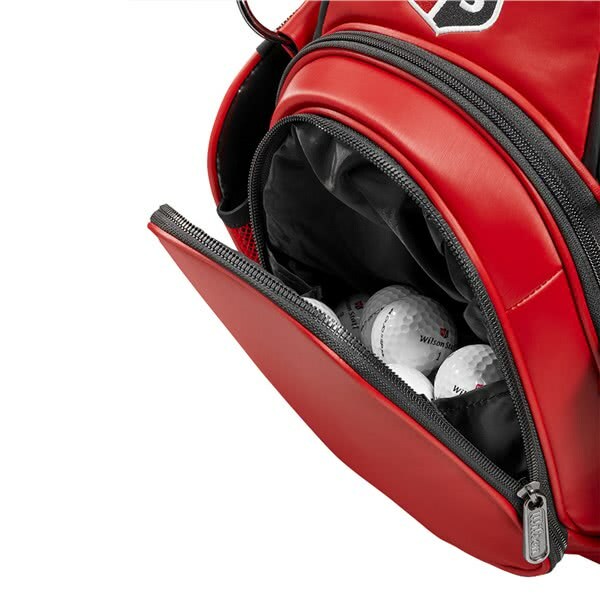 A three-point harness style single strap provides extreme comfort and balance when being carried. 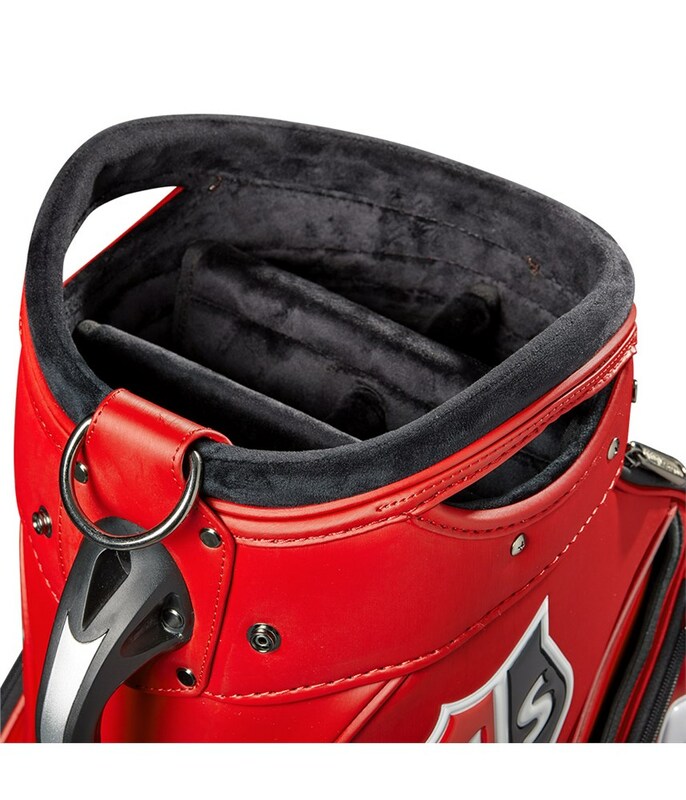 And a full-length umbrella sleeve provides easy access to your umbrella.